Over the years, entrepreneurs have driven massive change across industries and transformed the landscape with a host of initiatives, innovations and ideas. Bold startups are tackling problems head on and working towards solving a host of issues by experimenting with new technology, communication channels and working alongside governments and corporations. Reports show that there is positive uptick of 27% for startup funding indicating that there is significant interest in amplifying the work done by these new-age entrepreneurs. Various countries are implementing numerous programs to help incubate and accelerate startups to scale-up to their full potential. The countries pulling ahead in the race are ones that provide certain benefits such as easier regulations, availability of talent and better access to funding, all of which attract more startups. 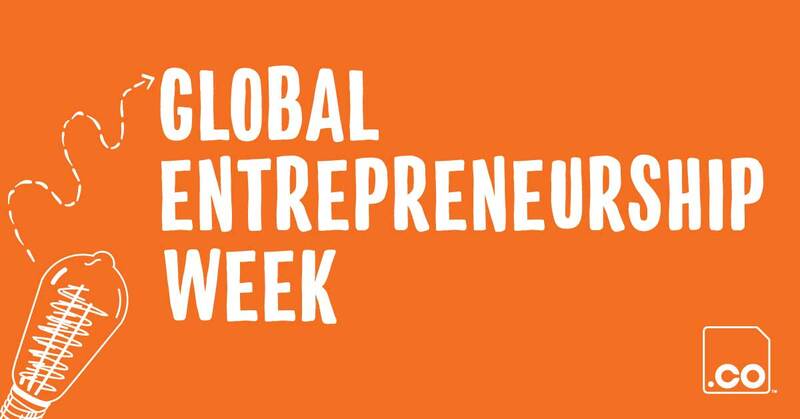 To encourage existing entrepreneurs and aspiring ones, Global Entrepreneurship Week is held annually across 170 countries every November. The efforts are led by the Kauffman Foundation in association with 15,000 partner organizations to connect entrepreneurs to potential collaborators, mentors and even investors. This year, the GEW took place November 12th to 18th and will involve millions across the globe in an array of activities and events. As a proud partner and promoter of numerous flourishing enterprises, .CO participated in several events worldwide to further support startups and initiatives during GEW. While designing a video game, the team behind Mural realized that they needed a place where they could collaborate and share visual references from different mediums with the rest of the team. 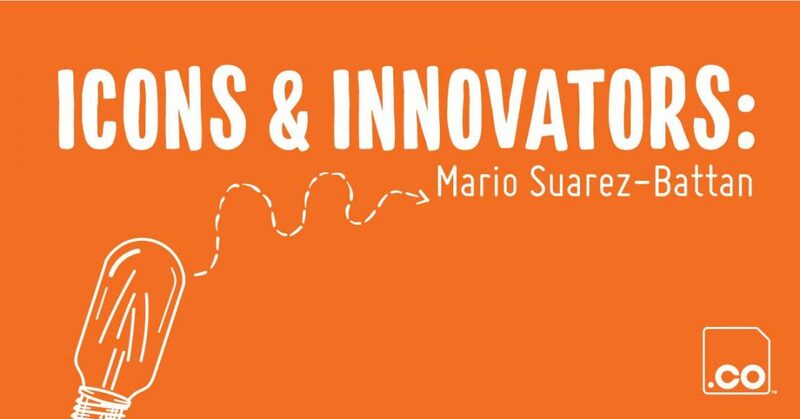 What was once a simple problem solver, today it is a great tool which helps teams to combine different ideas and disciplines to create great things together! This young, fashion-savvy Australian-based brand designs clothes for children and is a preferred choice of celebs across the globe. Striking the perfect balance between cool and comfortable is what sets them apart from the rest. The creative genius behind the label, Kiri-Moana Proctor, identified a gap in fashionable clothes for young tots and started her hunt for unique fabrics and patterns way back in 2012. Six years on, Duke of London is now well-loved by stylish mums and their babies. With the motto of ‘Art for Everyone’, Art & Found was founded to allow everyone the opportunity to own a piece of art. Their model of working alongside artists ensures that art is affordable, inclusive and accessible so that more people can fall in love with different pieces and own them too. While the rest of the world fixated on the concept of ‘wanderlust’, Questerra believed in the potential of travel to educate and inspire. Their interdisciplinary interactive platform enables travellers the opportunity to explore the world through various industry packages including culinary, performing arts and fashion. A passionate photographer, Naina Redhu uses her platform to showcase 14 years’ worth of her luxury and lifestyle photography as well as her ventures into podcasts, blogging, videos and writing. A self-proclaimed ‘experience collector’, Naina uses her blog to explore everything from travel to tech. Bringing the world closer together is what SphereMail aims to do with their 24×7 postal mail management services. By digitizing traditional post mail, SphereMail helps businesses run faster and more efficiently. A unique bespoke SEO Consulting agency, High Voltage SEO works towards perfecting SEO strategies for websites across industries. Armed with sound SEO Ethics and a dynamic SEO Lab, the team guarantees to help clients get ahead of their competitors. A business publication for luxury, fashion and lifestyle, Luxe.co is one of China’s most influential platforms. Curators and creators of the latest news and analysis of the fashion space, Luxe.co prides itself on its user-friendly database and in-depth knowledge of the comprehensive fashion industry. Entrepreneurship is not a destination, but a long and winding journey with many ups and downs, failures and successes. Watch this space and follow us on Facebook, Twitter for more stories of innovative entrepreneurs.